Reprinted with permission from blog.hiredmyway.com. So you’ve found a job posting for your dream position. Now what? The job search can be a frustrating process, but it’s also a time full of possibility and potential. Each new listing is a chance for an exciting new opportunity. But once you’ve found a job that sounds like the perfect fit, how do you make sure your resume gets read? Our experienced team has seen thousands of resumes. We know what works…and what doesn’t. Here are 50 of our top resume tips. 1. Avoid fancy fonts. Prepare your resume in 10-point or 11-point Arial or Times Roman typeface. 2. Edit carefully. Then edit some more. Spelling or grammar can kill an otherwise strong resume. The ability to write well is expected, not seen as an extra perk. 3. Read backwards. This is a great editing trick that helps your eye catch errors. 4. Ask a friend. Another pair of eyes really helps here, so ask a friend to look it over and give you feedback. 5. Make things easy for HR. 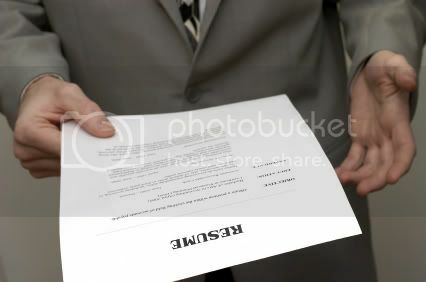 Human Resources people are overwhelmed with resumes, they take just a few seconds to skim each one. Grab their attention quickly by putting the most important information on the front page, then entice them to read more. 6. Get your resume in early. Establish yourself as a strong candidate early on, and you become the standard by which other applicants are measured. 7. Mix it up. A combination of paragraphs and bullet points is the best way to convey your experience. Start with a brief paragraph that outlines your responsibilities, followed by a bulleted list of specifics. 8. Keep it consistent. Make sure the layout, font, and margins of your resume match those of your cover letter. 9. Keep it simple. Don’t go overboard with underlining, italicizing and bolding. When used sparingly, it will highlight what’s really important.